Built an Eco Wood sleeper retaining wall of 168m in total with cap (for extra seating). 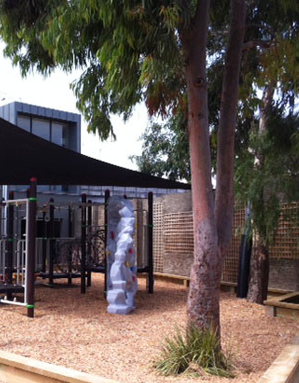 Designed, manufactured and installed a playground (size approx. 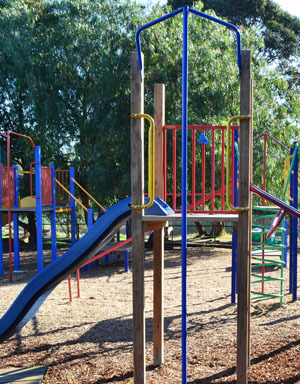 10.5 x 6.6m of play components plus soft fall zones of minimum 2.5m) for year 4 – 6 levels, with upper body and climbing the main theme. 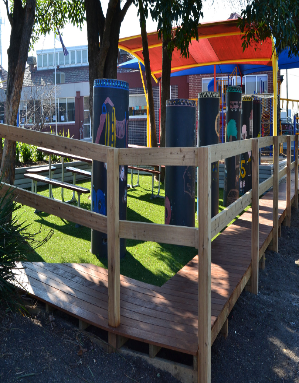 Installed Soft Fall mulch to 300mm in playground area. Installed garden edging for new garden bed, planted and filled with mulch. Removed gravel layer down 100mm and spread top soil, then installed instant turf to revitalize the area beside the new playground. 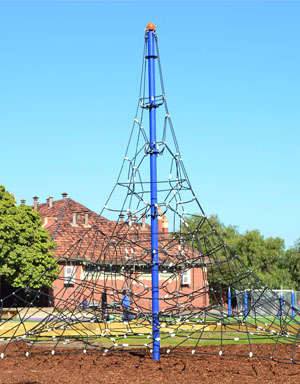 Supplied and installed a 6m high Pyramid Rope Climbing structure (Galvanised steel pole with marine grade quality rope). 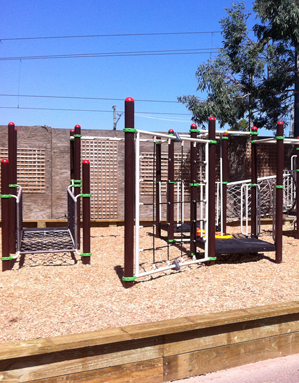 Removed old and tired existing playground equipment and saved steel components that were re-usable. 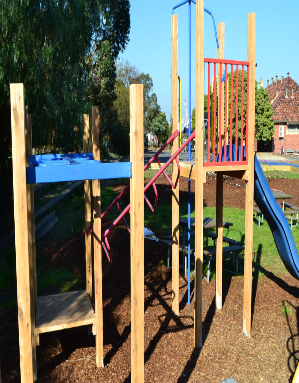 We then created a new play area with cypress timber posts and rails, utilising the existing steel monkey bars, stepping frame, fireman’s pole and slide. Prepared ground surface with crushed rock (where new synthetic grass will be installed). 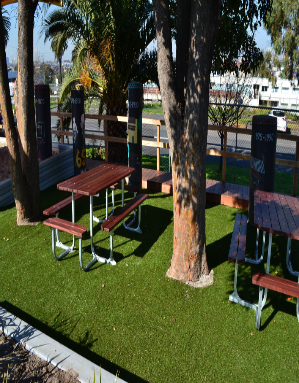 Supplied and installed new synthetic grass approx. 6.1 x 10m (from existing garden bed, passed the bollards up to the existing garden edging). 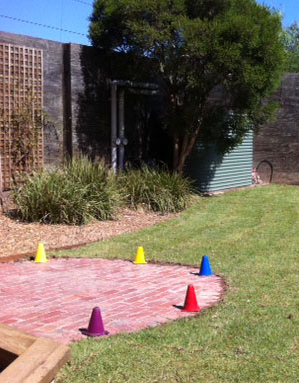 Supply two new 4 sided picnic settings / seating and place between trees in grassed area. 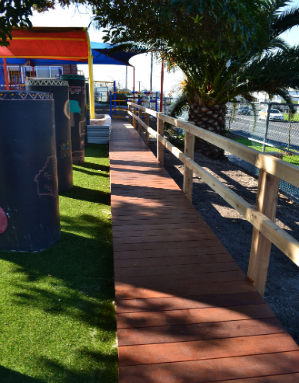 Supply timber materials (merbau and cypress) and build new boardwalk with hand rail, size approx. 20m x 0.9m. The boardwalk now links the playground and the rotunda. 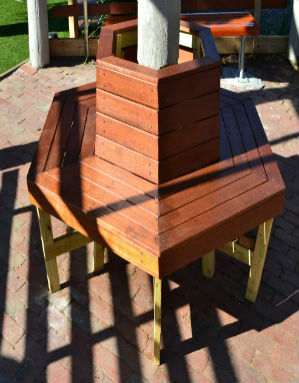 Built and installed one feature hexagonal seating structure (merbau) around center pole of the rotunda. Supplied and installed five new bench seats in the rotunda. 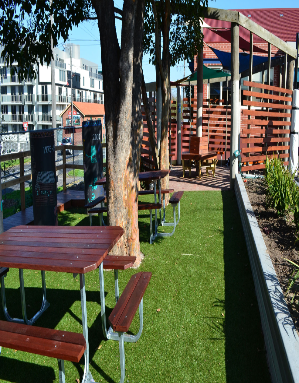 Supplied and installed horizontal merbau slats to screen external sides of the rotunda.